Consumers with hearing loss around the country should be interested in bills introduced in New Mexico (Senate Bill SB70 and House Bill HB70) that would mandate hearing care providers educate potential hearing aid purchasers on the information offered to allow the client to make an informed decision as to what hearing aid device to purchase. These bills are being demanded by educated consumers who, once they find out how telecoils are essential to hear in public venues equipped with assistive listening systems mandated by the ADA, are upset they were not told about the telecoil when they first consulted their audiologist or hearing aid dispenser. Some hearing care professionals label telecoils as “old” or analog technology and mention only Bluetooth technology. Yet, once these consumers become educated, they perceive their hearing care provider as only out to sell hearing aids, and not feel responsible or be concerned about the well being and overall functioning of their clients in public venues. Hearing Loops are amazingly beneficial to consumers. This was demonstrated in a recent survey published in Hearing Review where 866 people were asked to rate the performance of their hearing aids or cochlear implants using a 10-point scale. The average response was 4.9 in a non-looped setting and 8.7 in a looped environment. Until a newer universal, easy to use, good sounding, and affordable assistive listening technology becomes available around the country (and the world for that matter) telecoil technology will continue to be used as the universal technology that allows consumers access to important information and speech in places where hearing aids and cochlear implants are unable to deliver. Loop technology is widely used in Europe (in taxi cabs, theaters, opera houses, ticket windows, trains and airports) and thanks to Dr. Dave Myers’and many other advocates’, efforts are spreading in the USA www.hearingloop.org. Please note that these efforts are not for hearing loops perse, but for directly hearing aid compatible assistive technology. 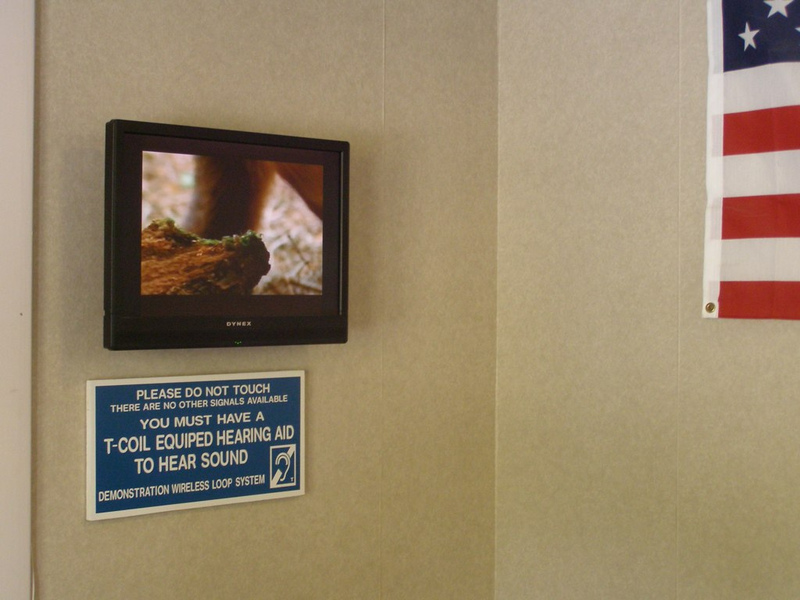 Few providers offer a hearing loop in their waiting room (or a neck loop connected to a Pocketalker) to demonstrate the benefits of the telecoil or make it part of their ROUTINE counseling practice. Even fewer providers have ever listened to assistive devices themselves or used a hearing loop in a public venue. It is educated and passionate consumers who are now pushing for these consumer protection laws. Yet, some hearing care providers as well as professional organizations are working against them. In New Mexico for example the New Mexico Speech Language and Hearing Association professionals are using arguments that people with severe to profound hearing losses do not benefit from the technology, hearing loops are not available to the user or that alternative technologies could be more effective. Perhaps they didn’t read the Hearing Review study. Imagine being sold a car but never been told it comes equipped with a headlight switch that allows driving in the dark? Hearing impaired consumers need protection alright – protection from providers who do not educate consumers when they are making a very costly purchase. Given the gravity of the needs of people with hearing loss and having personally seen thousands of consumers react with joy about the benefits of a simple telecoil in a hearing loop I would think providers and the hearing industry should jump on the opportunity to put hearing aids in a good light to give clients understanding in places where they know hearing aids and implants are unable to deliver. Some proactive hearing aid manufacturers such as Unitron already have. If you are a consumer, please join the grassroots hearing loop movement and invite your hearing care professional to get with our efforts to “Loop America”. Tell your provider it will change the way they practice hearing health care, that their efforts will result in delighted clients and that they will benefit professionally in the process. Send your audiologist/hearing care provider to www.loopwisconsin.com, suggest they watch this webinar or better yet – give them my email address jsterkens@new.rr.com and I will contact them and offer my personal and practical support. I wrote this blog in response to an article on how one person, Melissa Corson is making a difference in her community of Tallahassee: How More Americans With Hearing Loss Get to Hear Again – Tallahassee Magazine – January-February 2015. Kudos to Melissa Corson (www.facebook.com/melissa.b.corson?fref=ts) from www.facebook.com/TallyENT?pnref=story who has been working hard advocating for hearing loops in her community. It is great that her efforts are paying off. Way to go Melissa and the Doctors of Audiology at Tallahassee ENT! Notice how it is always audiologists who are not involved with looping who make unhelpful comments about telecoils and hearing loops not having kept up with the current technology? What does Dr. Nathan Rhodes audiologist at South Georgia Audiology and Hearing Services know about the IEC 60118-4, the International Hearing Loop Standard and how it seamlessly works with telecoils in today’s hearing aids? How loops can improve the signal-to-noise ratio on the order of 15-to-25 dB? And that even some of the smallest instruments can be equipped with a telecoil? Does he know that some makes such as Widex, Oticon and Siemens offer telecoils in streamers and/or remote controls? A recent study has clearly demonstrated just how beneficial the loops are to hearing aid and cochlear implant users in places where their devices (even those fit by Dr. Rhodes) are simply unable to deliver. These limitations are nobody’s fault – just a limitation of the microphones and distance (something that even the most advanced hearing devices are unable to overcome), the severity of hearing loss and speech recognition of the users. Limitations that the studies by Dr. Sergei Kochkin’s have been shown to hearing care professionals for years. I also wonder how many hearing loops Dr. Rhodes fostered in his community before the advent of Bluetooth. Doesn’t everyone deserve to hear well in their favorite theater, meeting room or House of Worship? I can guarantee that Dr. Rhodes’ patients will love him for it. I am happy to support any hearing care provider or consumer who is looking to foster loops in their community. If my efforts and those of many consumers in Wisconsin can lead to 450 hearing loops in nearly 6 years imagine what a concerted effort by hearing care providers and consumers would do for hearing accessibility in the country. People who have had normal hearing but acquired hearing loss later in life have the advantage of remembering speech the way it used to sound and access to a large vocabulary to piece together what they hear with an imperfect auditory system. Children with hearing loss don’t have that advantage. Their speech and language is still developing. A hearing loop can give them an advantage by providing access to clear sound input that hearing aids and/or cochlear implants alone simply are unable to provide unless their ears were mere inches away from the speakers on the TV. A loop in effect brings the speaker of the TV directly and wirelessly into their ears. Voila – clear sound that may allow them to hear TV better than their parents! In a recent article in the AG Bell Volta Voices Magazine (http://www.loopwisconsin.com/PDFFiles/VoltaVoicesSterkens.pdf) I explain why some children need more than their hearing devices, be they hearing aids or cochlear implants, to develop speech and language. While hearing devices help to make sound louder, the instruments may not provide enough clarity and understanding to let children carve meaning out of what was heard. Distance, background noise and reverberation all affect the speech clarity negatively and for this reason audiologists recommend the use of a personal FM system in the class room and there is plenty of research to back this up. While children are busy developing speech and language they need access to best speech clarity there is to be had. Imagine learning to speak French while in a busy café near the Champs-Élysées in Paris or while watching a fast speaking Spanish speaker on TV. This would be difficult even for a normal hearing adult – let alone for children whose vocabulary is limited and whose auditory systems do not permit clear and concise speech understanding no matter what type of hearing instrument or cochlear implant they wear. This is where a hearing loops can be of great benefit in the home. Their mother Laura Garmon Sarsfield, a member of the Georgia Commission on Hearing Impaired and Deaf Persons https://dhs.georgia.gov/gchidp-members , reports that her children both very much love the idea of the loop being able to bypass all the background noise and deliver the TV audio directly to their cochlear implants. “As a family we can listen to the TV without having to increase the volume and have confidence that they aren’t missing a thing because they are hearing everything completely and easily through the loop. It has definitely been a game-changer for them, even though they are both very successful CI users who are both “A students” in their mainstream classroom settings in the largest public school system in Georgia. I just can’t say enough about how much the loop has helped them. It has just eased their listening so they are able to relax and enjoy it, and not have to work so hard just to hear and follow it”. The parents of Josie and Emily, Jim and Vicki Denzin from Neenah WI add a warning for parents. One of the first evenings after they installed a TV loop, their girls kept laughing and giggling and would not settle down in their beds. It was then they found out the TV loop signal from the adult movie they were watching downstairs could still clearly be heard in the bedrooms upstairs as long as the telecoil in the hearing aids were on. They now make sure the TV loop amplifier is turned off when the girls go to bed! Where else can children benefit from hearing loops? The children’s Museum in Fort Collins has installed a hearing loop in its Dome Theater. 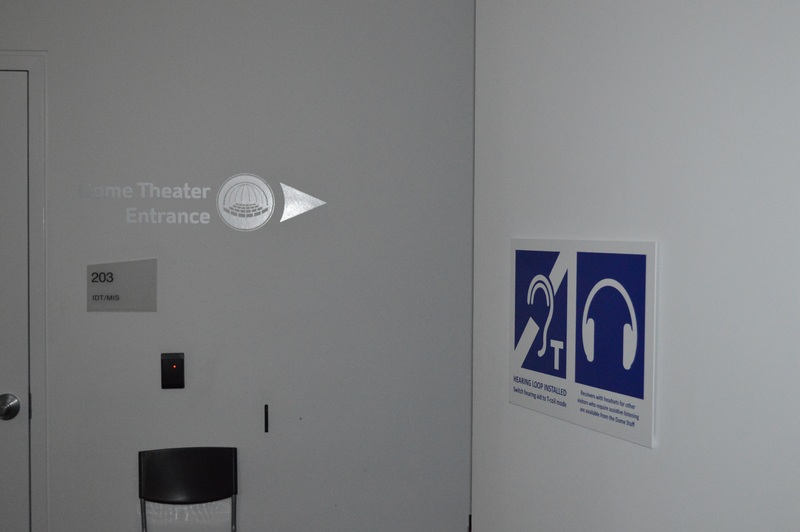 people with hearing loss such as high school or middle auditoriums, Houses of Worship, museums and movie theaters. 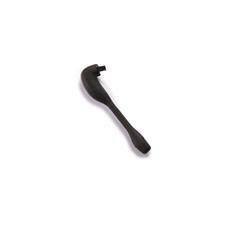 Who is going to install these hearing loops? Trained installers now found around the country. Many of whom can be found on www.hearingloop.org under vendors. 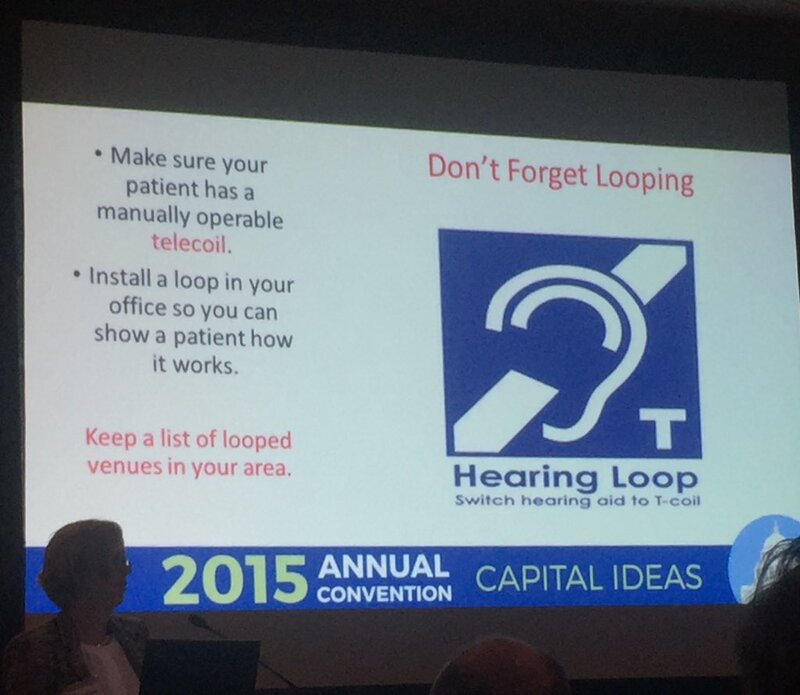 Who is going to make sure that hearing loops are the “go to” hearing assist technology? That is where we need to get involved and work together as advocates for everyone who uses hearing devices: Hearing care professionals, hearing aid and cochlear implant users, hearing loop installers and advocates, hearing aid and cochlear implant companies, parents and family members of children with hearing loss and everyone who works in the ADA community https://adata.org/ and http://www.access-board.gov/the-board/laws/americans-with-disabilities-act-intro . 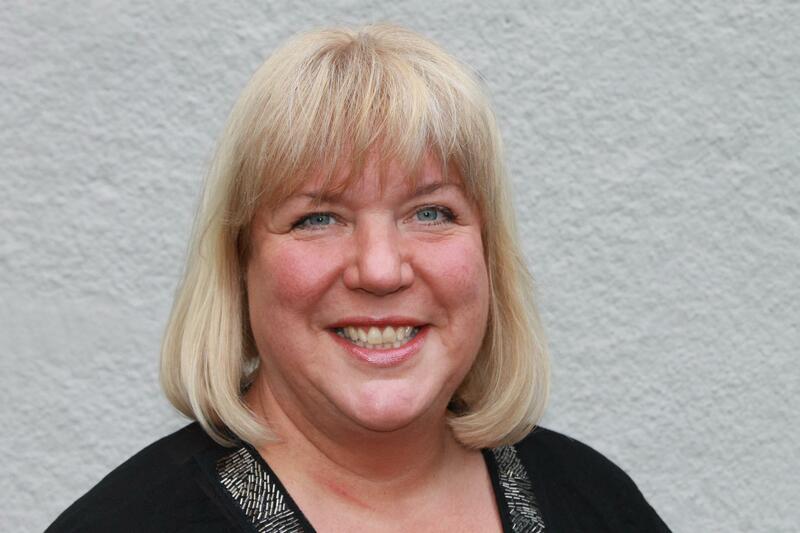 Our mantra should be “No Decision About People with Hearing Loss – Without Them”. Adults who have experienced the three different assistive listening technologies prefer will choose hearing loop technology over FM or Infra-Red systems nearly 9 to 1 see http://www.loopwisconsin.com/PDFFiles/LoopingStudy_Oct_HR2014.pdf. It is easy to understand why: All a user needs to hear in a loop is a personal hearing aid or CI and the ability to activate the telecoil. While it is true many children may not have experienced a hearing loop based on the comments from pediatric loop users listed above, anecdotal evidence of adults consumers who have both used Bluetooth wireless and loops at home, the recently published study in the Hearing Reviewhttp://www.hearingreview.com/2word014/09/consumer-perceptions-impact-inductively-looped-venues-utility-hearing-devices/ and a small study in Denmark by Aida Poulsen Regal www.cfh.dk/Do_school_chn_with_hearing_loss_have_preferences_for_ FM_or_loops?.pdf this choice is likely not any different for them. 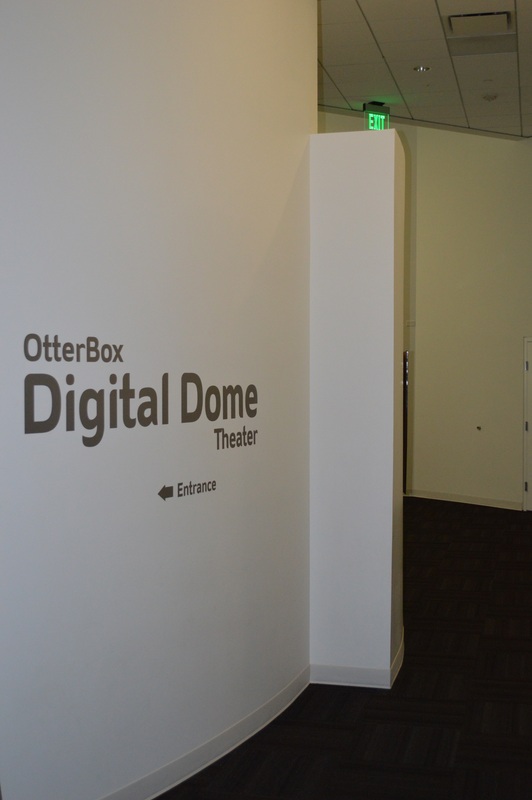 The OtterBox Digital Dome at the Fort Collins Museum of Discovery is now fully accessible for children (and adults!) with hearing loss. 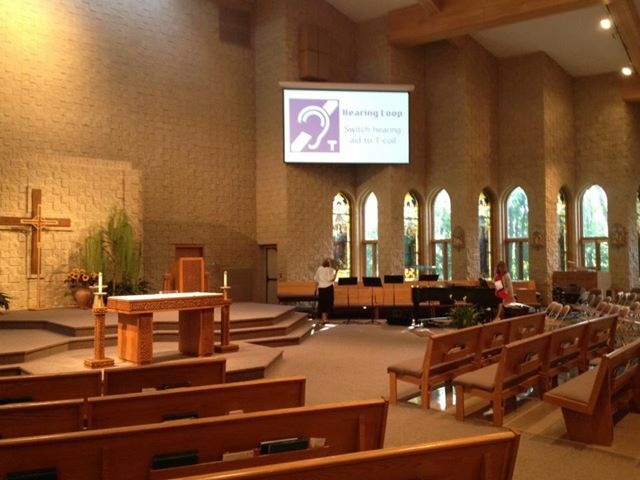 Recently my church, St. Raphael Catholic Church in Oshkosh had a hearing loop installed. 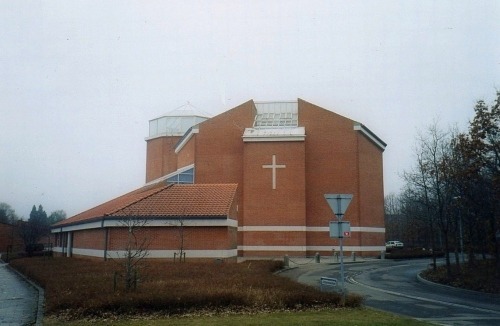 A hearing loop is an assistive listening system in the form of a wire that is installed around the seated area of a facility, in this case a house of worship, connected to the PA system. The loop creates a magnetic signal in the seated area that hearing aids or cochlear implants equipped with telecoils can pick up wirelessly broadcast to their own ears without any background noise. Users who don’t own hearing aids with telecoils or hearing aids can use small loop listening devices to pick up the signal. This hearing loop is installed on a temporary basis because the loop wire could not be installed exactly where it should be, this would have involved cutting of old, glued down carpeting, for an optimal signal. Once the church gets recarpeted the loop wire will be put where it needs to be and the magnetic loop signal will be optimized. Yet, even with the hearing loop slightly out of spec it is helping people hear. It was Fr. Doug LeCaptain who OK’d the installation when he realized it could be a year or two before a perfect loop could be installed and that this temporary loop would work quite well in most of the seated area. Fr. Doug was also “nudged” at the insistence of several hard of hearing parishioners. These parishioners had experienced hearing loops in the many looped churches in and around Oshkosh (see a complete list here) and kept asking for the technology at St Raphael. 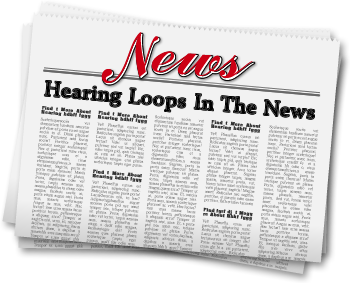 The hearing loop was announced in the bulletin and during a hearing loop dedication weekend this past August. Vicki Denzin, a parishioner and mom of three girls, publicly thanked the congregation gathered. Her emotion came through loud and clear when she spoke. Two of her daughters use hearing aids and the girls have extensive experience using a loop in their TV room. Vicki and her husband Jim had advocated for a loop at St Raph’s. When people experience a hearing loop for the first time they are often overwhelmed. I have learned there is a story behind each and every hearing loop testimonial. To capture how hearing aid users benefit from loops I am gathering hearing loop experiences with a simple survey. To gather responses from the many local loop users I dropped some paper and pencil surveys off at twelve hearing aid offices in the Fox Valley. These survey responses are coming in. I hope to publish an article on these findings soon but in the meantime I would like to share one story. 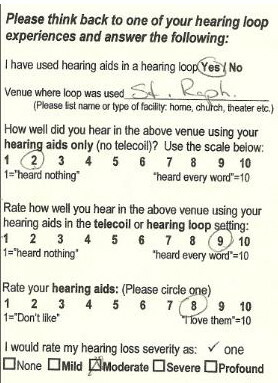 A story that does not use many words… just the response of one hearing loop user at St. Raph’s. (St Raphael Catholic Church). Prior to the hearing loop installation this user reports to hear a “2” on a scale of 1=”heard nothing” and a 10=”hear every word”. In the hearing loop this same user reports to hear a “9”. In the hearing loop the hearing aid user went from hearing nearly nothing to nearly hearing every word. Wow! These results almost made me cry. Who knew? Who knew but this person who sat in the pews trying to carve meaning out of the words of the service? I cannot imagine how this person felt after worshipping in a facility where hearing the homily was impossible? Why bother attending? I am sure that many others have stopped attending, because of this same problem. 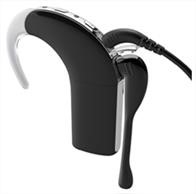 With the hearing loop this hearing aid user is once again able to hear the messages that Fr. Doug so carefully prepares every Sunday, broadcast wirelessly from the loop to the telecoil in the hearing aids. Imagine hearing clear and crisp sound without any background noise straight from the sound board? It is possible to hear in reverberant houses of worship (and many other venues) with the use of hearing loops. This is news that deserves to be shared by clergy around the country and heard by millions of hearing aid users. Everyone deserves to hear.